JUST ARRIVED. 3 OWNER LOCAL ATLANTA CAR. MAJOR SERVICE JUST DONE INCLUDING CLUTCH REPLACEMENT. GIALLO MIDAS PEARL ( PEARL YELLOW ) OVER BLACK LEATHER. BIG $$ CUSTOM UPGRADES INCLUDING CUSTOM AUDIO SYSTEM, CUSTOM CONCEALED RADAR LASER JAMMER DETECTOR, EXHAUST VALVETRONIC EXHAUST WITH THREE STAGE REMOTE CONTROL, CUSTOM WING, TWO SETS OF WHEELS, AND MUCH MUCH MORE. CLEAN CARFAX, DEALER SERVICED WITH RECORDS, NO ACCIDENTS, RUNS AND DRIVES LIKE NEW. THIS IS A CAR ENTHUSIAST AND COLLECTOR CAR OWNED VEHICLE. 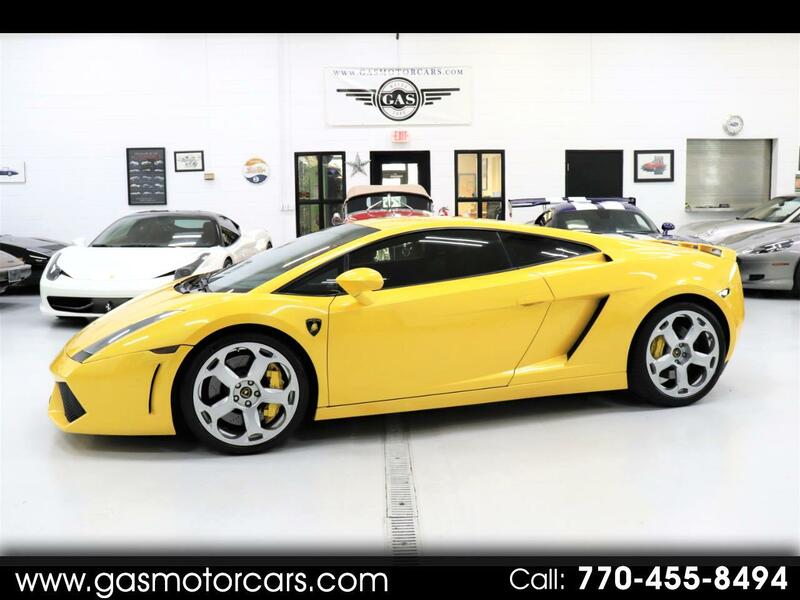 EXOTIC CAR FINANCING IS AVAILABLE FOR QUALIFIED BUYERS. WE SHOW VEHICLES BY APPOINTMENT ONLY. WE CAN SHIP ANYWHERE IN THE WORLD AT THE BUYERS EXPENSE. Message: Thought you might be interested in this 2006 Lamborghini Gallardo.